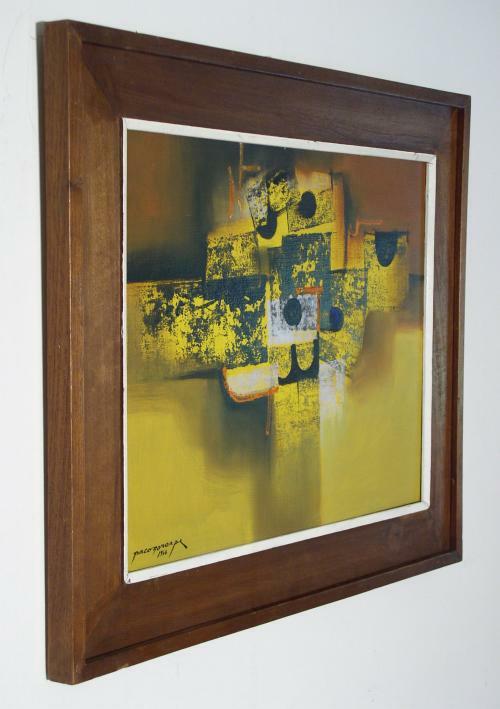 Early, signed and dated (1966) abstract oil on canvass example of well know artist Paco Gorospe (1939-2003) known as "The Picasso of the Philippines". This is actually the second earliest piece we could find reference to. Painting in excellent condition and in original walnut frame.